Is your child fond of fancy food? Influenced by popular culture, we have embraced new and convenient foods like fries, pizzas and burgers. However, as celebrated chef Julia Child has said, sometimes the simple recipes passed down through generations are the best.Parents often make the mistake of thinking that when their child comes home after school or play, the only way to curb hunger pangs is to offer unhealthy chips, chivda, fried chana, samosa, cakes, biscuits, chocolates, etc. But, nutrient-rich traditional food that is tasty, can also be appealing to children. Remember what our mothers used to make for us when we returned from school? Earlier, every household had a rich variety of homemade treats that were also healthy. Unfortunately, urban lifestyles have made families move away from such habits and food items. So, let’s revisit those golden olden days. Here are some of my favourites — sumptuous yet simple and nutritious snacks for children! One of the breakfast items I would suggest for your child is moong dal chilla (also referred to as the vegetarian version of an omelette). This dish is loaded with proteins, is light and easy-to-digest. Do you know that just 100gm of moong dal has 24gm of protein? You can play around with other ingredients for this dish. Depending on your child’s preferences, spruce it up with tomatoes, chopped onions, coriander leaves, grated paneer, cheese etc. If you are looking for an easily digestible and energising breakfast, try avalakki upma or poha. This satisfying breakfast option is made of beaten flat rice. The dish is rich in iron and carbohydrates and also packed with various vitamins and minerals. The best part is that it contains minimal gluten. If you want to make it even more nutritious, throw in some chopped vegetables. Green peas and peanuts will add to the taste and make it a well-balanced, high-protein meal. Dhoklas are steamed and not fried, and this enhances their health quotient. As the gram flour used in this traditional Gujarati dish is fermented before use, it is nutrient-dense and easy to digest. The process of fermentation adds vitamin B and live enzymes to the food. Try to include fermented foods in your diet to help you absorb the nutrients present, better. For instance, the probiotics in such foods restore balance in our colon. Thus, these are great for aiding digestion. Uttappam is a healthy mix of carbohydrates and other essential nutrients. The best part is that you can feed your kids lots of vegetables with this dish. It combines a high carb like rice and urad dal with highly nutritive vegetables like tomatoes, bell peppers, green chillies, ginger and coriander. The dish also contains curd, which is a superfood. Moreover, it is easy-to-make, uses ingredients available in the kitchen. Plus, the shorter cooking time makes it an ideal snack for kids. These are an excellent source of carbohydrates and proteins, and a regular food item in most South Indian homes. Made of fermented rice and dal, you could also have it as a snack or for breakfast. You can prepare dosas in a jiffy if you have batter ready. What’s more, you can include a variety of items as filling. From plain ones with chutney to masala dosa with potato filling, experiment and explore to your heart’s content! Dosas can also be made healthier by replacing rice with ragi, oats or semolina flour. As we know, ragi or nachni flour is a storehouse of nutrients. If your child is iron and calcium deficient, try ragi dosas. These are a great source of protein too. Idlis are an excellent snack, but if your child prefers bite-sized savoury treats, try making mini idlis. You can also combine the goodness of carrots and coriander by chopping and mixing both into the idli batter. It goes well with coconut chutney. If you want to surprise your child with colourful food, why not make idlis with beetroot and spinach. This dish is rich in nutrition as it combines veggies with fermented foods. 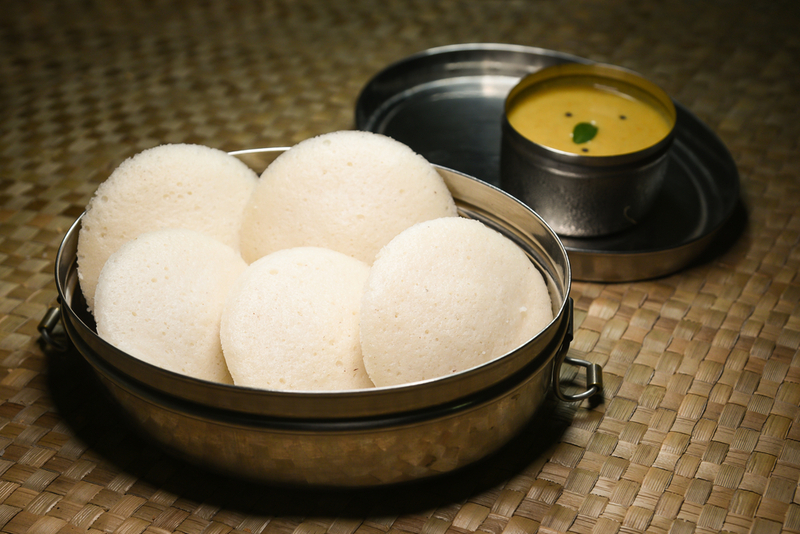 You can serve these idlis along with seven-eight almonds and a glass of milk for a complete nutritious meal for your child! Traditional, homemade foods use fresh and gut-healthy ingredients. Why not try interesting combinations and colourful vegetables to add visual appeal. This will also enhance the taste. And trust us, your child will be hooked to these snacks in no time!